Remember the old saying “don’t judge a book by its cover”? That applied to the 2018 Owensboro Air Show. The Blue Angels were the headliners and while that is exciting, I thought the lack of jet variety might be disappointing. No. Nah. Nope. Not at all. 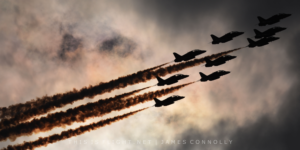 In fact, this was one of the most exciting air shows I attended all year. How in the world is that you might ask? Read on. The weather for Saturday’s show was nothing short of phenomenal, especially considering that exactly a week prior the area received over three inches of rain in a day: hence the muddy river! There was a breeze that kept the air clear of the performers’ smoke, and your classic late summer/fall puffy clouds in the sky. 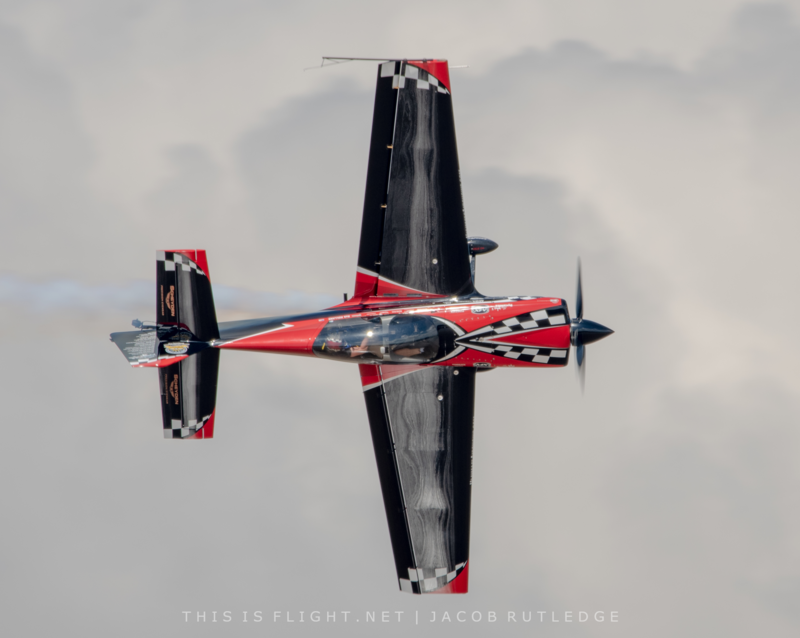 All in all, my favorite conditions to photograph air shows in. While the city of Owensboro can’t do much about the weather, let’s talk about what they can do. As I’ve mentioned in past reviews, this is the most family friendly venue I’ve ever attended an air show at. I think it is a great place to introduce kids to aviation and air shows, because of the large park that runs over 1000ft along the river. If your kids lose their attention, no worries. Let them play at the playground and both of you can enjoy the air show when they are ready. The riverfront is clean and well organized, with plenty of free viewing areas. Getting in and out of the area is super easy. I parked a couple blocks away from show center, and by the time I packed up my gear and walked to my car, I got in it and left. No traffic. No waiting. I just drove home. This sounds silly but there are not many things worse than waiting in traffic for an hour just to start your multi hour ride home. Let’s talk about the performers. Owensboro has consistently provided us with some surprises and this year was no different. 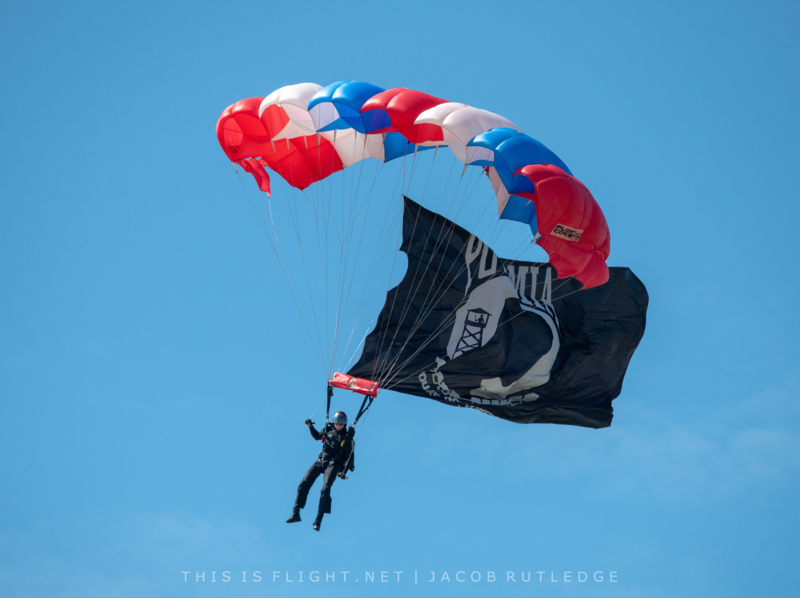 The show started off with several members of different branches of the US military parachuting out of Matt Younkin’s Twin Beech 18. With Matt’s Beech was one of the Aeroshell AT-6 Texans. Neither the parachutists nor the lone Aeroshell AT-6 aircraft were on the schedule. Okay by me! I have to say the parachutists really demonstrated skill that day. They landed in one of the smallest drop zones I’ve seen, and surrounded by people. After the parachutists were back on the ground, a formation flight with 2 T-34 Mentors, the Aeroshell AT-6 Texan and an A-1 Skyraider made several flat passes in front of the crowd. The sound of the radial engines on the A-1 Skyraider and AT-6 easily overpowered the T-34 piston-powered power plant. Eventually the Aeroshell AT-6 broke off and performed several solo passes in front of the crowd, replicating some of the Aeroshell team moves. Even in solo form, the Aeroshell AT-6 looked fantastic. Bill Stein was up next in his Edge 540. We saw Bill back in August at the Chicago Air and Water show, and he left an impression on us for several reasons. The first: Bill is good. Really good. Second: Bill likes to fly low. Really low. No change here then, as Bill made several passes just feet above the water. Three: Bill’s plane changes color depending on the angle. During a live mic session with Bill during the show, when he was asked what color his plane was, he stated it was “your favorite color” referring to all the shades the paint was capable of changing between. After Bill’s stunning performance, the Sky Soldiers brought their AH-1F Cobra and UH-1H Huey into the air box for several passes, and a demonstration of what a Cobra covering for a Huey during a recovery operation might look like. The slap of the Huey blades is unmistakable, of course, and seeing the Cobra work the air box was a real treat. The Sky Soldiers also offer rides on both the Huey and Cobra. I highly recommend purchasing the ride experience. You will leave with a whole new respect for the men and woman who used them for transport in both good and bad times. Gene Soucy (or “Mr. Airshow”, as quoted by the announcer) was up next. Gene’s “Showcat” is a highly modified Grumman Ag Cat previously used as a crop duster. The “Showcat” is also capable of hosting a wing walking act, although we did not see that performance this year. 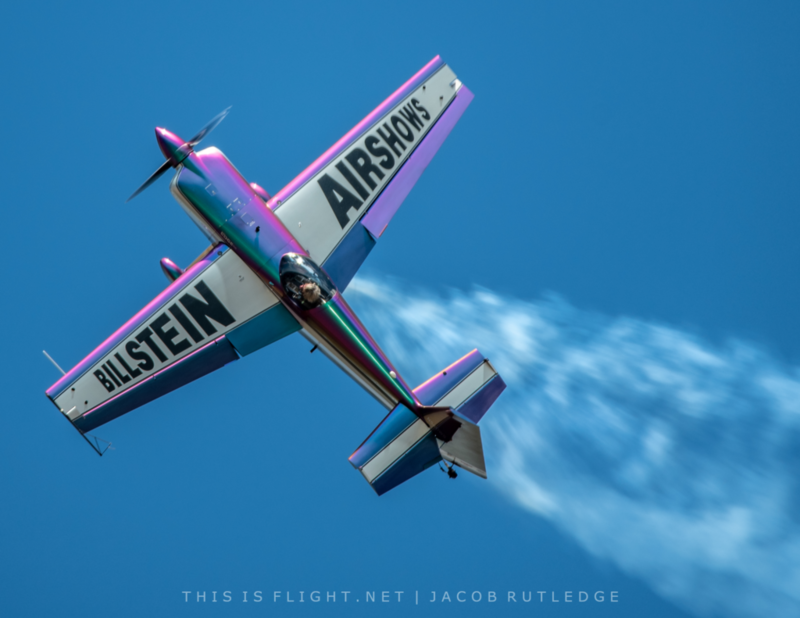 While not nearly as fast as some of the aerobatic aircraft that performed during the show, Gene’s aircraft was a nice change of pace. Immediately following Gene was Rob Holland in his MXS-RH. We also saw Rob at the Chicago Air and Water Show. Rob’s performance is crisp and fast, and his demonstration is one of non-stop control inputs. Rob’s highly modified MXS-RS allows him to seemingly defy physics. When empty, it weighs only 535kg (1181lbs). When airshow ready, the MXS-RS comes in at just over 680kg (1500Ibs) with a top speed of over 300mph. Matt Younkin was back with his full performance in the Beech 18, after Rob recovered back to the airport. 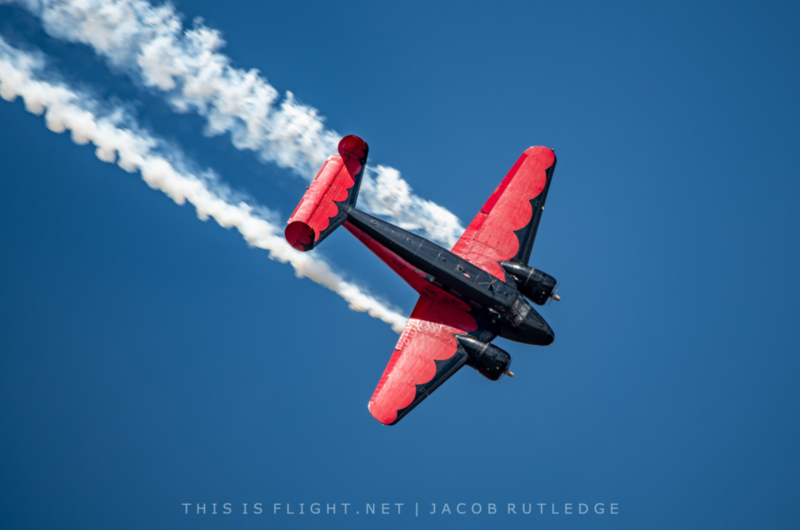 Matt’s demonstration with the Twin Beech is another performance that never gets old. The Beech 18 was never meant to do many, if not most, of the things that Matt commands it to do. The red and black paint scheme also really popped against the blue sky. 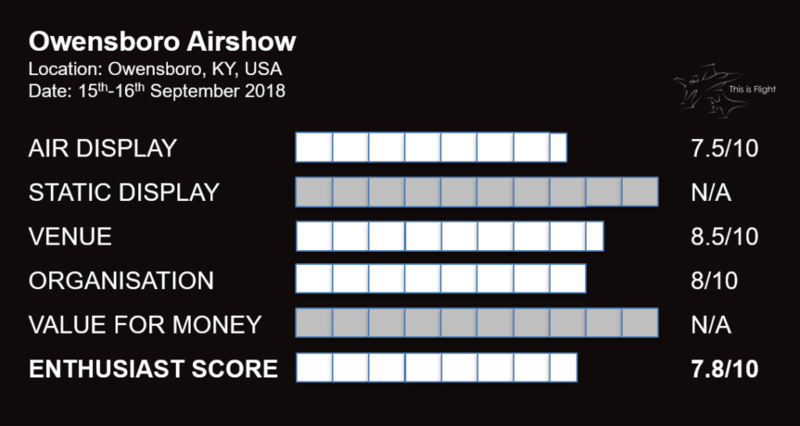 During the demonstration, Rob Reider, the air show announcer, stated the aircraft is only allowed 3 positive Gs but through Matt’s skill and knowledge of the aircraft, the audience still gets a great show while the aircraft never exceeds the G limit. The Class of 45 consist of the P-51D Mustang “Quicksilver” and an F4U Corsair. “Quicksilver” is unique in being built over 15 years from parts pulled from over 200 aircraft. You wouldn’t know it by looking at it. The F4U-4, meanwhile, is a veteran of over 200 combat sorties. The duo make both solo and formation passes, and even an opposition pass towards the end of the demonstration. It has been several years since I’ve seen a Corsair perform at an air show, so this was something special for me. 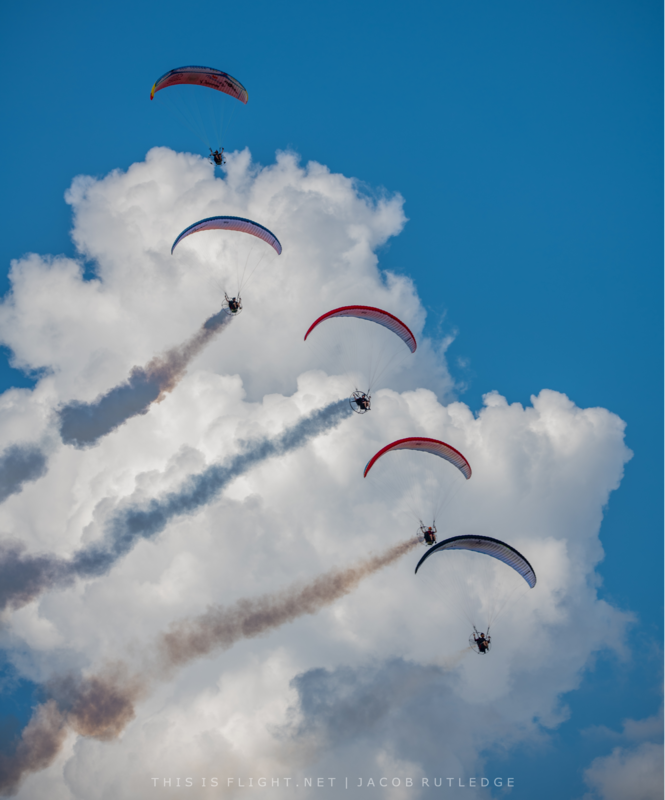 Immediately before the Blue Angels took control of the air box, the Paradigm Aerobatic Team took off in their paramotors. I have a feeling that it was borderline too breezy for them, as the performance seemed short – though from what we saw, it was interesting. After the show, the team had a booth amongst the vendors, where people could interact with the team and learn more about paramotors. I really enjoy this aspect of air shows. Anytime you can get performers to interact with the crowd it brings the show to a whole new level. The US Navy Blue Angels wrapped up the show. I’ve seen the Blues many times, but this venue is special. Owensboro is along the outside of a river bend, which makes for elevated riverbanks. Being elevated allows for a unique vantage point. At some shows the show line seems too far out. Even with a large zoom lens, photographing through all that air can soften the images. Not at Owensboro. The Blues performance felt up close and personal. You could tell the crowd was enjoying the show as well. 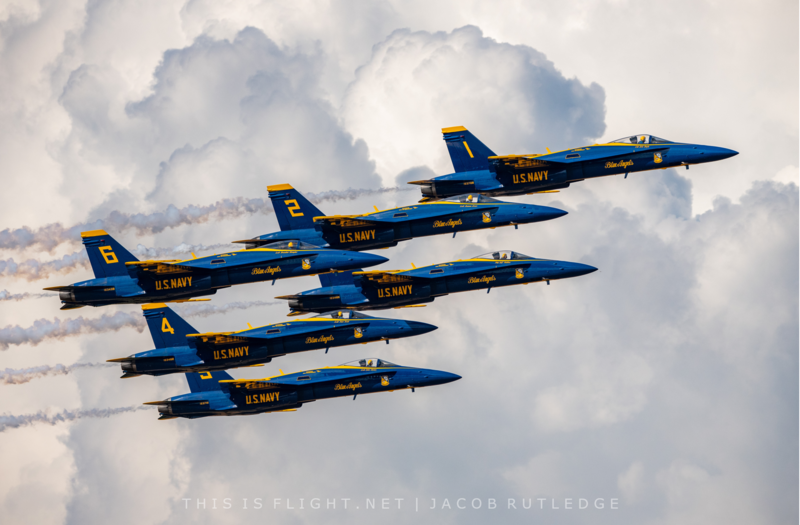 Each air show is unique and special for its own reasons. For me, Owensboro is about as good as it can get. 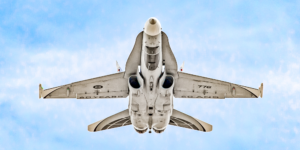 Could there be more jet action? Sure, but the positive qualities of everything else about the show more than make up for it. At no point in time did the show feel slow or dull. A lot of the excitement surrounding the show comes from the commentary, and Rob Reider did a great job as always. Without Rob at the helm, it would be like watching a movie without a soundtrack. 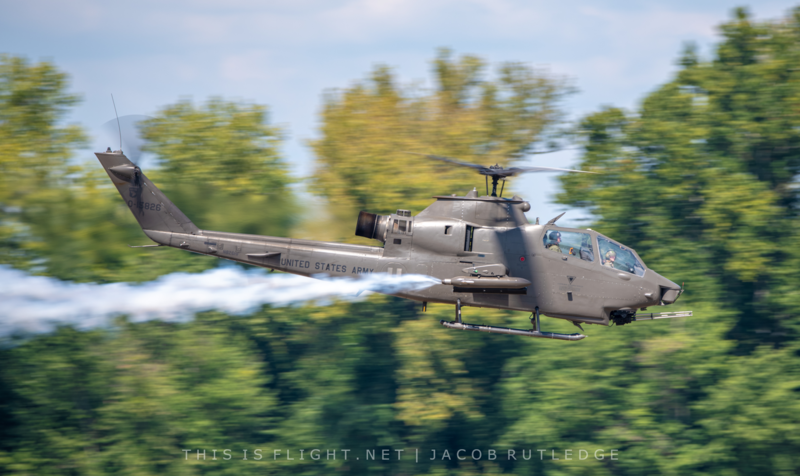 The 2018 Owensboro Air show continues to be one for my favorite shows for a multitude of reasons, and should have your attention too. Sometimes after leaving a show you feel worn out after a great day. 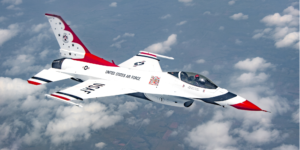 While watching the actual air show is always a treat, the travel in and out can drain you. This show was just over 100 miles away but I got home relaxed and refreshed. The city puts forth a lot of effort to host an amazing, free, a top tier airshow. I’m not saying that attending the Owensboro Air Show is good for your health but it will appease your inner AvGeek.